Would President Barack Obama be brilliant or crazy to tap his former adversary to be the next U.S. finance chief? Probably both. Yet the Republican has the right resume, and the Democrat in chief needs to fill the vacancy Tim Geithner’s departure will create. Markets would celebrate the pick as a shocking pivot towards bipartisanship. In reality, neither man may have the restraint to keep from wringing the other’s neck. The Treasury Secretary needed in 2013 must be capable of working with both Republicans and Democrats to craft a sweeping deficit reduction compromise that includes tax and entitlement reform. The ideal candidate ideally also understands business and provides investors with confidence that Washington is walking a sounder fiscal path and cares about their concerns. Romney’s background would make him an almost perfect fit. His private equity chops should help him to identify and eliminate waste from bloated federal budgets. After all, he’s admitted to firing people. And who better to identify the flaws of the tax code than someone who has made a career – and a fortune of hundreds of millions of dollars – exploiting them? Moreover, as Massachusetts governor, Romney had tangible experience balancing the Bay State’s budget a decade ago. He’d provide precisely the private sector experience that he criticized the Obama administration for lacking during his campaign. He could do all of this in a bipartisan spirit too – answering to the president but being taken more seriously when negotiating with Republicans. Having presided over a state legislature that was 85 percent Democratic, he should feel at home on Obama’s team. 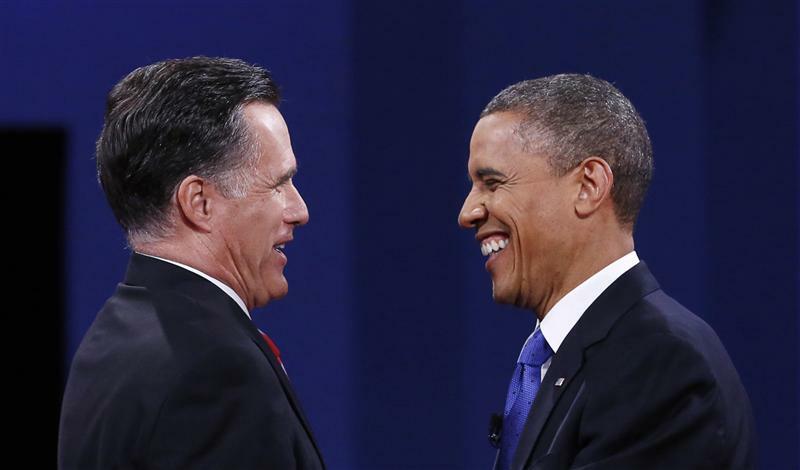 Romney’s ego would make it hard for him to work for somebody else. But this could be his last shot at fulfilling his ambition to serve the nation. The president even reiterated on Wednesday that he was looking forward to sitting down with his former opponent to get his input on fiscal issues. Could a grand gesture like this be less far-fetched than it seems? Probably not, but it would make for delightfully awkward cabinet meetings.